It’s difficult not to feel, as a PC gamer, like this whole “Remaster” kick the gaming industry has latched onto is anything but a shameless cash-grab. The occasional exception (Day of the Tentacle Remastered) starts to build up some goodwill, and then along comes a BioShock Remastered to kick the whole sandcastle down again. I had high hopes for BioShock Remastered, given the state of the original 2007 port—terrible mouse acceleration, paltry graphics options, and the fact it’s almost a decade old. I hoped 2K could fix its more egregious issues and bring it up to par with BioShock Infinite, if not graphically then at least on the back end. Alas, it’s not to be. The game’s earned the derisive nickname “BioShock Retextured” in Steam reviews because that’s apparently all that’s been done here. The developers slapped slightly higher-res assets into the game and called it a day. The remastered version still has the same terrible mouse acceleration and fewer graphics options. According to some reviews, Remastered is also buggier than the original, with issues that were fixed in the 2007 release rearing their heads again. I haven’t run into any yet in A/B comparisons, but if true it makes this whole ordeal even more baffling. 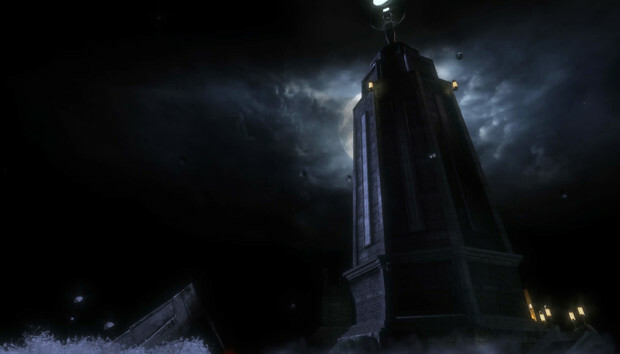 I can’t complain too much—owners of BioShock’s 2007 port (myself included) received Remastered for free, and industrious Reddit users have posted ini workarounds for many of the game's worst issues. But I think I speak for others when I say I would’ve paid some amount if it meant BioShock Remastered received more than a lackluster spit-and polish.